A kitchen is typically known for being the center of life in a home, even when that home is on wheels. 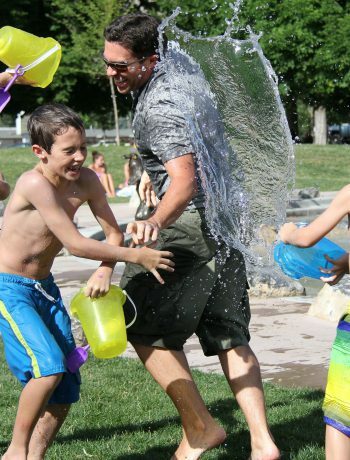 With summer in the horizon, we can almost smell the fresh air of the mountains here at Sharp, and we bet you can too. While you’re planning out your top places to RV to this summer, why not throw in some remodeling and redecorating plans too? Spring cleaning your RV kitchen and getting organized isn’t impossible. We promise. 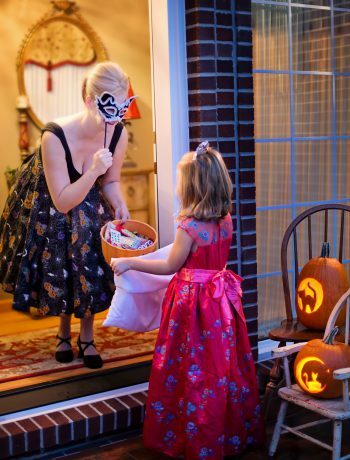 We even have a few tricks up our sleeve that will help with this process. After all, adventure awaits! 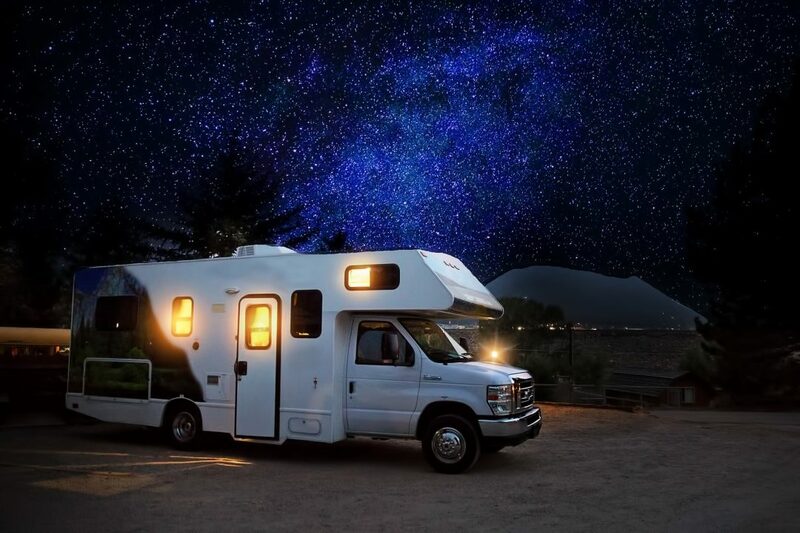 Over the years, RV’s have become much more than just a retired snowbird’s getaway. Now more than ever, people of all backgrounds and ages are deciding to hit the road. Some would even say that 2018 is the year of RV camping. So what trends and styles are hitting the market this spring? Well for one, the smart kitchen craze has no boundaries. Appliance interaction has become quite the trend, with more and more homeowners turning to Bluetooth syncing technology. This spring, we recommend testing out a new interactive speaker and jamming out to your all-time favorite road trip tunes. If you’re looking for a taste of the future, we recommend waving hello to Sharp’s new Stainless Steel Easy Wave Open Microwave Drawer Oven . 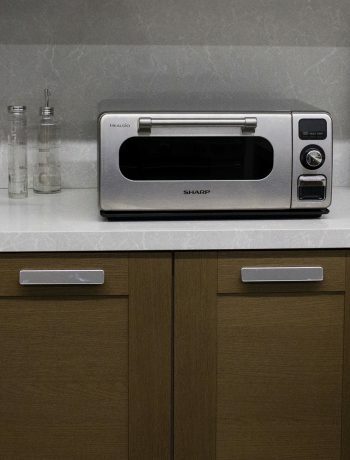 Featuring Easy Wave Open technology, this elegant, low profile microwave drawer will give you the look you want without sacrificing any much needed counter space. Metallics are all the rage this year, so why not add some silver and gold accents to your living space? This can be easier than you might imagine, by using gold and silver accent pillows on chairs and furniture or adding a small gold picture frame to the wall. Keeping up with the trends doesn’t have to be expensive! If you don’t want to break the piggy bank this year, create glittery goodies from the comfort of your home yourself. However you chose to design your RV space this year, keep metallic pieces in mind. If your kitchen looks anything like ours, it’s time to break out the tile cleaner and get to work. Since space is limited, it is extremely critical for your mobile kitchen to be organized. At times, it is hard to find ways to make your space as functional and clutter free as possible. There are many DIY hacks online that recommend using storage containers from the dollar store and hot gluing all sorts of materials together. But thanks to Buzzfeed, no hot glue guns need to be used to organize your kitchen. Organizing your kitchen utensils is just a suction cup away, literally. Buzzfeed recommends using suction cups to hang your kitchen utensils! You can keep your pots out of sight and out of mind too by simply hanging a shelf system above your kitchen. While these hacks are fine and dandy, there is more space that can be saved. While countertop microwaves, like the Sharp Carousel, are fantastic for making the perfect road trip popcorn, there may not be enough countertop room in your RV kitchen. If this is the case for your RV, we have the solution for you. 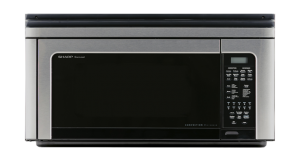 We recommend investing in a fully-featured, easy-to-use microwave oven with sensor cooking, like the Sharp Over-the-Range Convection Microwave . This microwave is equipped with an inset hinge so you can open the microwave door in compact kitchens and features a top-mounted, radiant heating element for broiling and a powerful fan for convection roasting and baking. Let’s face it, no one wants to cook all the time, especially in a small kitchen. During long drives, we admit that boredom snacking is the biggest challenge to face. If you’re looking for a tasty treat to sink your teeth into without too much of a hassle, we’ve got the scoop for you. As food fanatics, we are always searching for new and noteworthy recipes to share with our subscribers. This tasty recipe comes from The Bitten Word blog and is perfect for any time of day. 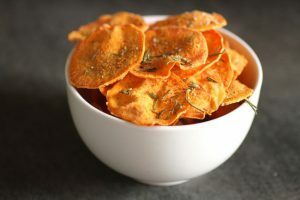 These sweet potato chips combine your craving for something savory and salty, that’s for sure. You will need to start off by cutting a piece of parchment paper to fit in your microwave safe plate and spraying a thin layer of cooking spray on top. Then thinly slice and divide 1 sweet potato until you have chip-like slices and spread the slices equally throughout the parchment paper. Season sweet potato slices with 1 teaspoon of finely chopped rosemary, ½ teaspoon of salt, and ¼ teaspoon of pepper. Then microwave in your Sharp Over-the-Range Convection Microwave on high for 4 minutes, adding 30-second intervals until chips appear crisp and firm.